This genus of plants is made up of 3 species of deciduous trees or shrubs that are commonly seen in North America and across southern Europe. It belongs to the same family as Anacardiaceae also know as Rhus. When you make a physical touch with the plant, it can cause contact dermatitis. Contact dermatitis is a type of eczema that causes the skin to become irritated and dry. Therefore, cotinus coggygria can be considered a pesky weed in many places. 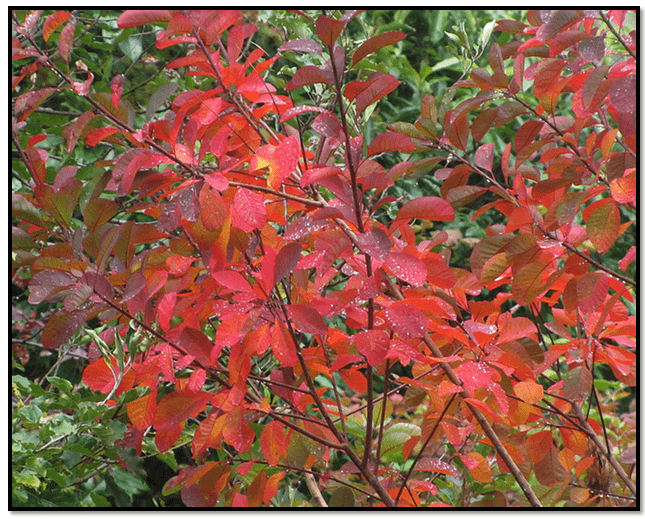 Albeit cotinus coggygria is a valuable garden plant that has a long season of interest. During the summer you can witness this plant growing small flowers that are borne from long panicles. 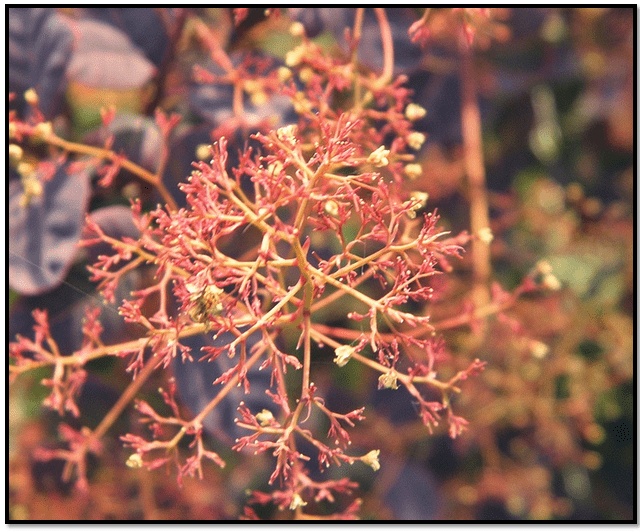 As a result, the flowers have a hazy appearance which gives this plant its name, Eurasian smoke tree or smoke bush. When winter arrives, cotinus coggygria such as Velvet Cloak and Royal Purple begin to produce broad oval shaped leaves that are red, yellow, and orange in colour. Smoke bushes can grow in a wide variety of soils and climatic conditions but grow best when there is lots of sunshine. Like most trees from cool-temperate regions, smoke bush can produce vibrant autumn colors during the areas where winter is cold. It is best to flame prune dead wood or straggly branches. 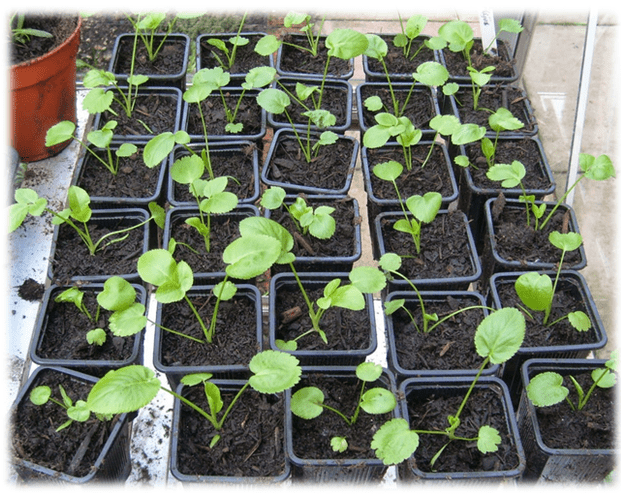 When trying to plant from seed sown, it is best cultivated during the autumn or late summer. Hardwood or softwood cuttings of the tree or shrub can help during propagation. The best time to take the cutting is at the end of July and early August. The most challenging part of propagating trees or shrubs from wood cutting is to know when the stems are ready to be cut. The best way to know if wood cutting is ready to be harvested is to take a stem and break it in half. If the stem produces a snapping sound, then it is mature and ready to harvest. When collecting the cuttings of a tree or shrub, it is best to do it early in the day. Rap the cuttings into a paper towel to protect from sunlight and dryness. Next, use pruning shears to cut the stem leaving at least two sets of leaves intact. An average cutting should measure about 4 inches. To prepare cuttings for rooting take out the lower part of the leaves so that the wounds on the shoot are opened up. The wounded part of the cutting is where the roots with propagate. Also be sure to hurt the end of the shoot’s tip by laying the wood cutting down and taking away a line of bark. Next, dip the end of the stem into water and then apply rooting powder. Rooting hormone powder contains auxins that allow the cuttings to root quicker. After this, you want to begin seed germination. To do it, take a seedling tray and fill it with a soilless mixture and perlite. For every six parts perlite fill it with four parts potting mix. As a result, you will give the new roots room for drainage and increase the aeration rate. Once you have placed the cuttings in the soil, you need to cut parts of the leaves off to minimize water loss through transpiration. Once you have filled the seedling tray and planted the cuttings, get a large plastic see-through bag and place the tray inside the bag. The reason behind this technique is to increase humidity. Place the bag in an area where the cutting can receive moderate sunshine. After six weeks in the bag, new roots will begin to develop. Once the shrubs or tree starts to sprout, you can move it to anywhere to a new, permanent location. It will take approximately six months to have the shrubs rooted and growing. This means from the late summer when you begin propagating; the plants will start to appear the spring of the following year. 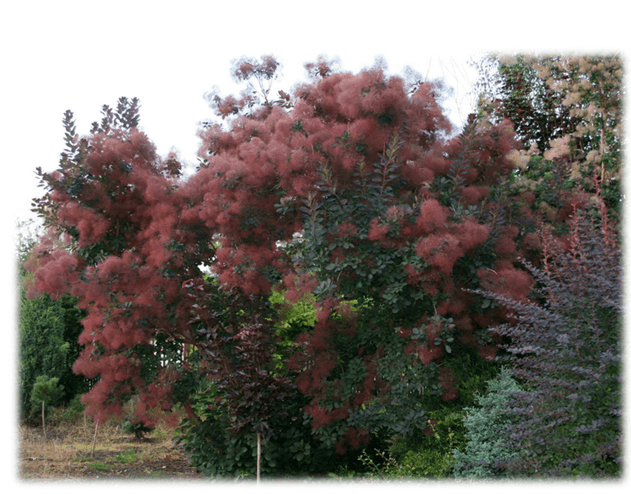 The cotinus coggygria is 15ft tall (4.5m) and found in southern Europe and central China. It is a rounded bush with broad oval leaves. It has many plume-like panicles, small bronze-pink flowers, and fades to purplish leaves in the summer. 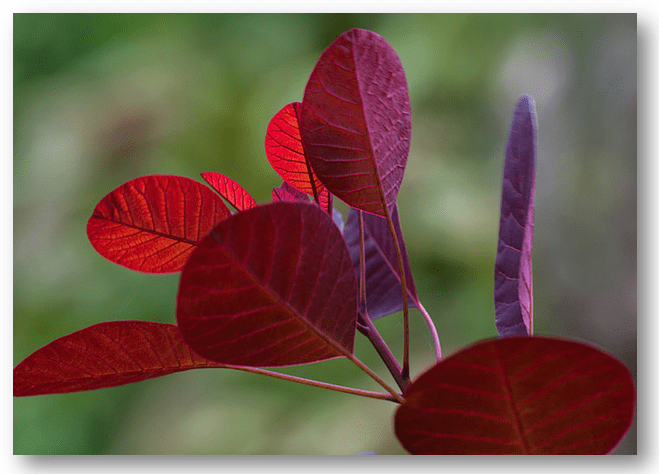 Types of cotinus coggygria that produce purple leaves are Royal Purple, and Velvet cloak. Velvet cloak sprouts dark red-purple leaves that turn entirely red in the fall. 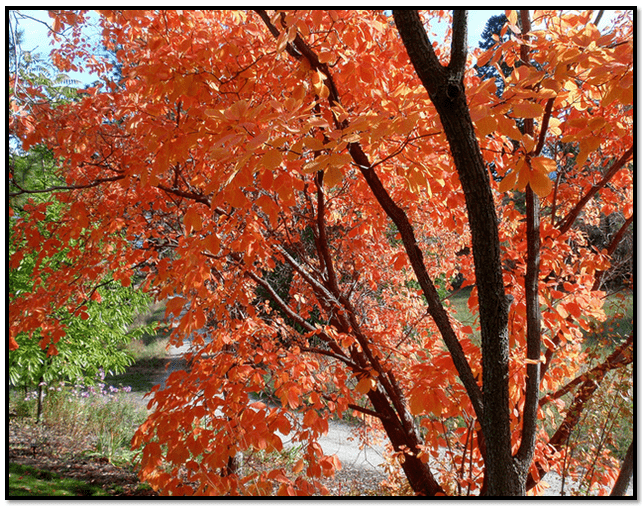 Cotinus flame is 16-19 ft (6-7m) tall. It is a hybrid combination of C. coggygria and C. obovatus. It produces large, fluffy, grey flowers in the summer and scarlet coloured flowers during autumn. It is slow growing and a round small tree. Large panicles grow during early spring and early summer. Cotinus Grace is a hybrid combination between C. coggygria, C. velvet cloak, and C. obovatus. It produces reddish purple leaves and greying plumes that give it a hazy smoke-like appearance. It is often grown for its large pink panicles. It is one of the best shrubs that can be planted in a perimeter for privacy purposes. Cotinus obovatus also called cotinus americanus, c. cotinoides, and rhus cotinoides is an American smoke tree/ chittamwood that grows 6 metres wide and 9 metres tall. It grows best in moderate moisture rich, well-drained soil and moderate sunshine. It is adaptable to most types of soil even if they are not fertile. During autumn foliage alternate various colours such as yellow, red, orange, and purple. It has a tree-like broad conical form. As a zones 5-10 and 7-10 species, cotinus is most common in southern Europe. Cotinus makes for great uses in shrub borders, massing, and for hedges. They do not require much maintenance to sustain a healthy framework. Their growth can be stimulated with coppicing. The tree or shrub produces a colourful foliate and grows in almost any soil type such as fertile, moist, alkaline, rocky, clay, and drought. Thank you for reading, and to show us your support please share this article via social media. Commonly known as Dandelions, they are bright yellow flowers with deep taproots. The common name, Dandelions, derived from the French ‘dent de lion’ which means ‘lion’s tooth’, referring to the deep green leaves of rosettes. Called as weed by most of the people, Taraxacum Officinale is the scientific name for Dandelions. It is at times used as a vegetable and is also used as a salad green. 10-15% of daily potassium is consumed by taking 100g of Dandelion. It is also used for traditional purpose in East Asian countries. These plants grow best in sunny and moist areas. Varying in length from 6 to 24 inches, the flowering stalk contains 100 to 300 ray flowers. When these ray flowers are cut off, a bitter, milky substance leaks out from the stem. These plants originated in Europe and Asia. Established in the New Zealand, Australia, America, these plants are also found in many other moderate habitats like Italy, Poland, Austria and also in whole of the United Kingdom. Having the capacity to gown in forests, lawns, fields and garden, these plants can grow in certain hostile conditions as well. The name Taraxacum established around 1000 AD. 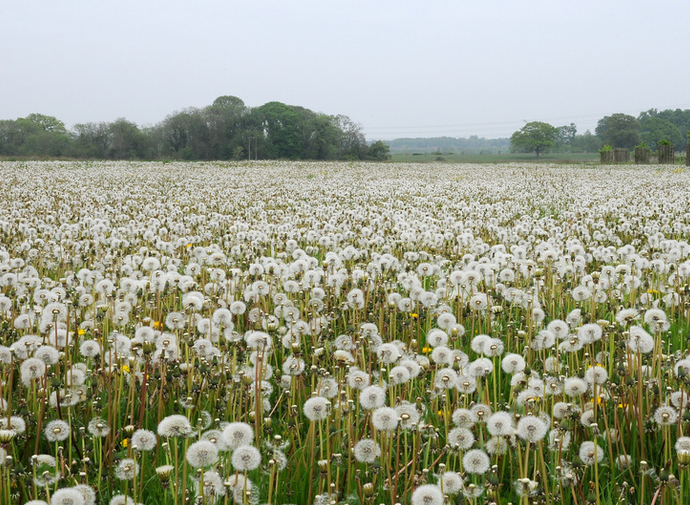 More than 500 common names of Dandelions like blowball, cankerwort, doon-head-clock, witch’s gowan, milk witch, lion’s-tooth, yellow-gowan, Irish daisy, monks-head, priest’s-crown, and puff-ball are there and they have been recorded too. Native to Europe and Asia, Dandelions are believed to be grown for about 30 million years ago in Eurasia. According to the historic records, these plants have been used by humans for food and as an herb. 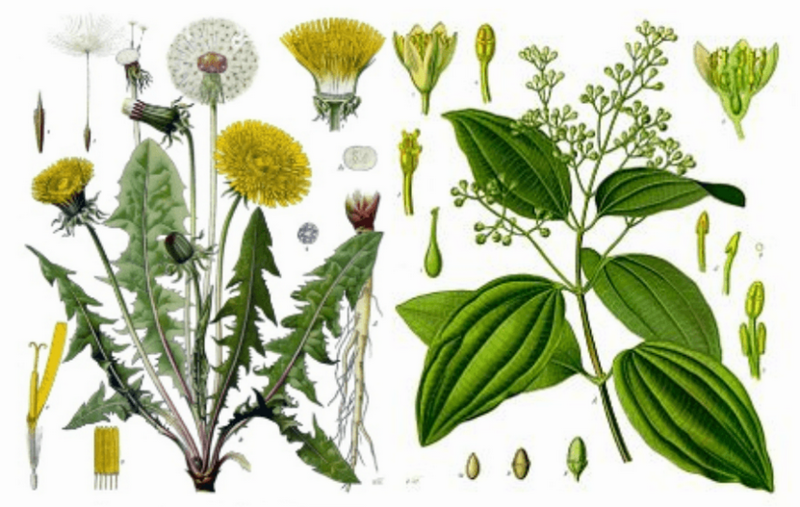 As per the historic written records, Dandelions are considered a valuable medicine for Chinese and was first mentioned in writing in the Tang Materia Media in 659 AD. Producing one to more than ten stems which are 5-40 cm tall and also up to 70 cm tall at times, the Dandelion’s stem are purplish, erect and produce flower heads which are as tall as the foliage. The foliage may grow straight or may spread horizontally. The stems are fully or partially covered with short hair. The plants excrete milky latex but lacks bracts, having one solo flower head. Having the height of 5-45 cm and the width of 1-10 cm the leaves are obovate in shape. These plants are able to produce dandelion seeds without cross- fertilization as they grow from seeds and do not spread asexually from runner. The offspring produced are the clone of the parent plant. Only one Dandelion is enough to cover your whole lawn or garden. These plants reproduce in spring but at times can reproduce in the fall time too. The seed develops inside the close head of the flower and the flower follows a process of opening in the morning and closing at night. After sometime, a fruit known as “cypselae” are produced on the flower stalk. When you see a Dandelion plant, it is fully established by that time as a seed which germinates is produces a rosette of tiny leaves close to the ground surface and grows a deep tap root. Used as the Arabian Medicine to treat liver and spleen disorders, Dandelion has a variety of health as well as other benefits. The Chinese people, used to combine Dandelion with other herbs to treat hepatitis to improve upper respiratory infections, pneumonia, bronchitis and also breast inflammation. 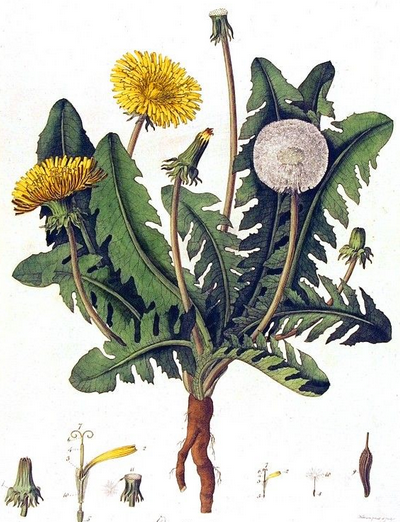 The bitter constituents of Dandelion are used as a natural medicine to immune irritable bowel syndrome. Stimulating the functions of the stomach, liver and bile, the substances in the Dandelion helps to eliminate toxins and metabolic waste which goes out through urine. This plant is also used to immune dyspepsia, hypoacid gastritis, biliarydischiesis. Apart from this the Dandelion also has the ability to remove gallstones in your gallbladder. If the gallstones are there in your gallbladder, the herbal medicine prepared from Dandelion leaf helps in dissolving and removing them from inside the gallbladder. Dandelion is also beneficial for your skin as it can be used as a general tonic to deal with daily skin conditions like acne, eczema etc. Since year, Dandelion has been used as a natural treatment for jaundice and the yellowing of skin which is related with liver dysfunction and liver disease. Stimulating the circulation of the blood, Dandelion helps in maintaining the blood pressure and keeps it balanced and also cures poor digestion. Its high concentration of calcium, iron, sodium and potassium makes it beneficial to cure such diseases. Mannitol, produced by the leaves and roots of the dandelion during the spring season is used in the treatment of the hypertension or weakened heart. The Dandelion can be used for the treatment of poor night vision or reduced vision at night due its blossoms which are rich in vitamin A and B2. Before turning bitter, the young spring greens of the plant are used in salad as an ingredient. Also, the roasted root of the plant is used as a substitute in coffee and is also used for seasoning and meat tenderizing. It is also inflamed into beer, and people also make wine at home by using dandelion. Aside from providing numerous health benefits for humans, dandelion based remedies can also be a viable option for your pets. While few may think dandelions are poisonous for dogs or cats, their antioxidant properties can be beneficial for your pet’s digestive system. 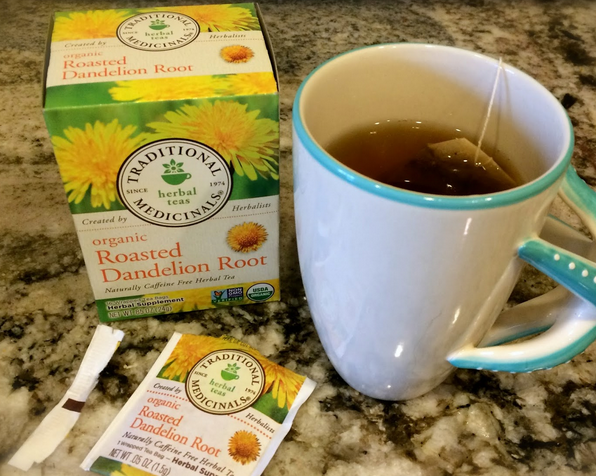 Dandelion tea has been known to act a diuretic to improve the internal flow of fluid. Unlike most grain or fiber crops from which weeds are detached at harvest, weeds are often harvested along with fodder crops, possibly reducing quality. The feed value differs among species, so the feed value of the weed also differs. The seed germination of the dandelion occurs near the soil surface and is augmented by light. Soil temperature of at least 50°F and moist soil is the ideal time for the germination of seeds. But in case, the soil temperature gets closer to 77°F the germination gets fast. Lasting throughout the season, the seedling stage can last 8 top 15 weeks, which completely depends on the temperature and growing conditions. The growth of the seedling gets slow duringthe cold months. The flowering process begins after the seedling stage and the process continues throughout the life of the plant. In many parts of Europe, Dandelion is frequently cultivated as a salad crop and as a medicinal plant. This plant is very easy to grow and successfully grows in many soils. Even if they are given the least amount of protection in winters, still these plants have the ability to provide edible leaves throughout the year. Not only this, the plant releases ethylene gas, which inhibits the growth of neighboring plants. The ethylene gas promotes the premature ripening of fruits which helps in inhibiting its growth. In order to control Dandelion in your lawn, you can dig out small plants by hand, removing the whole root. In small grain crops, roundup may be applied in the fall or spring during a fallow period. In soybeans and perennial legume crops, metribuzin (Sencor or Lexone) may be used. Hexazinone (Yelpar) is suggested for perennial legume crops such as alfalfa and the clovers, but it is not accepted for soybeans. If you are establishing pasture system then stoppage is the most important tool for managing weeds. Research shows that pasture weeds can be controlled by increasing fodder competition. The crop growth rate stands as the single best amount of plant response to weed competition in forages. You need to maintain a dens fodder is the formula for preventing weed invasion and interference.